If my college classes had been held at breweries, I may not have gotten A's, but I certainly would have showed up more often! Join Aquatic Biologist and Fly Fishing Geek Peter Stitcher at a brewery near you to learn how to Match the Hatch while sipping on your favorite craft brew. We are partnering with breweries and taprooms across the Rockies for this 2 hour talk on entomology for the fly fisher and matching the hatch. Participants will each receive 10 flies and a beer with their ticket. Aided by high-resolution videos, animations, and craft brews, you will learn how to identify every bug in, on, and around the river and quickly match it to the best fly patterns in your box. Whether you are just learning to fly fishing or are a seasoned angler, this class will help you dial in what the fish are feeding on and how to choose the best fly patterns to fish. Talks go from 6:00 -8:00 pm. Seating is limited and this talk is always moving locations, so don't miss your chance to join us at your favorite brewery! If you work at a Brewery and would to host a Bugs & Brews talk, you can email us by CLICKING HERE. First time attending a class like this, I absolutely loved it. It was very informative and inclusive. The brewery was great as well. I hope to take another one of these classes one day. Great presentation with humor, just how this kind of thing is supposed to go. Very informative as a semi novice fly fisher. Good discussions surrounded by experienced individuals and good beer.The handouts provided a good takeaway and the fly selection was a bonus. I would attend this again. This is an amazing deal. Great class, plus a beer and a dozen flies for $25. You're nuts if you pass this up. I may do it again. Great information. 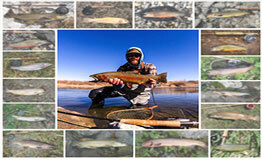 I found the presentation to be extremely helpful in understanding how to get better at fly fishing. The well organized fly samples really help me understand what to do. Looking forward to trying this new knowledge out. This class was very easy to be a part of. Brewery atmosphere was very welcoming. As someone who had lots to learn I didn't feel out of place or belittled at all. Peter was extremely nice and easy to talk to. Lots of good information, only thing better would be to be out on the water - which is also an option and will be my next thing. This was the first time I have been able to attend a speech or event put on by Peter and Ascent Fly Fishing. The atmosphere was amazing, the information was so dynamic, and overall this is an event I would recommend to anyone interested in fly fishing. Whether you are a beginner to the sport or an avid sportsman, there is information for everyone. Peter covers the material in a way that keeps you captivated and learning the entire duration. Great job Ascent, keep up the good work and cheers to more education, better stewardship of our rivers, and of course more fish... Beer is great too. Lots of very useful information and delivered in a fun and relaxed environment. The beer is a bonus, but the talk was super helpful and educational. Peter is a great speaker. His passion and knowledge is shared with the attendees who attend a Bugs N Brews presentation. It is worth attending a couple of these presentations to comprehend all the information he is providing. I highly recommend these presentation to all level of fly fishers. Besides, his selection of breweries demonstrates his great taste in beer! I’m a novice fly fisher so I’m like a spounge for any information but this presentation definitely had something for everyone. I’m very glad I made the effort to attend and would highly recommend it.